It’s no secret that we adore coffee. 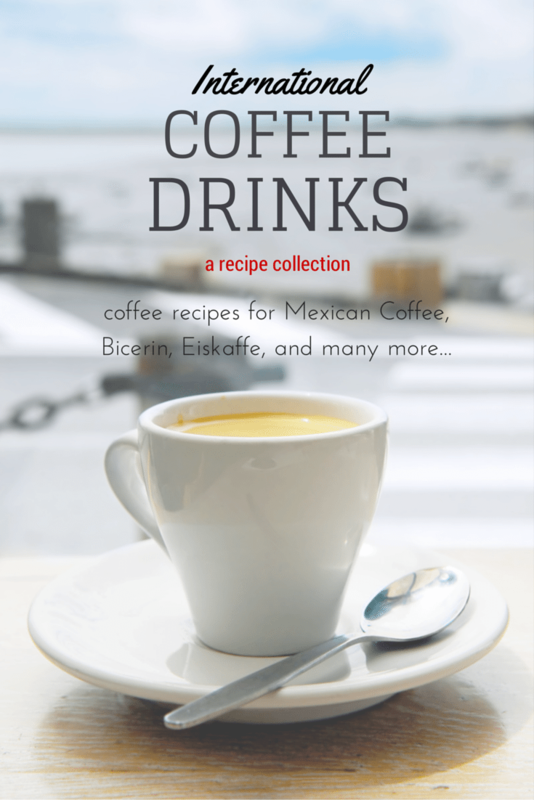 We especially love international coffee drinks! So we’ve collected our favorites and gathered them together in one spot for you. Our hope is that you can find a great recipe to try this weekend that puts an extra spark of joy in your morning from us. We’ll be adding to this collection, you can be sure, so stop by often to see what’s new. And, feel free to leave us YOUR favorite international coffee drinks we haven’t added yet..we are always looking for new ones to try! Australian coffee is one of only a few recipes we included that require a milk frother. If you don’t have one, you should probably skip this recipe. It just won’t taste the same. 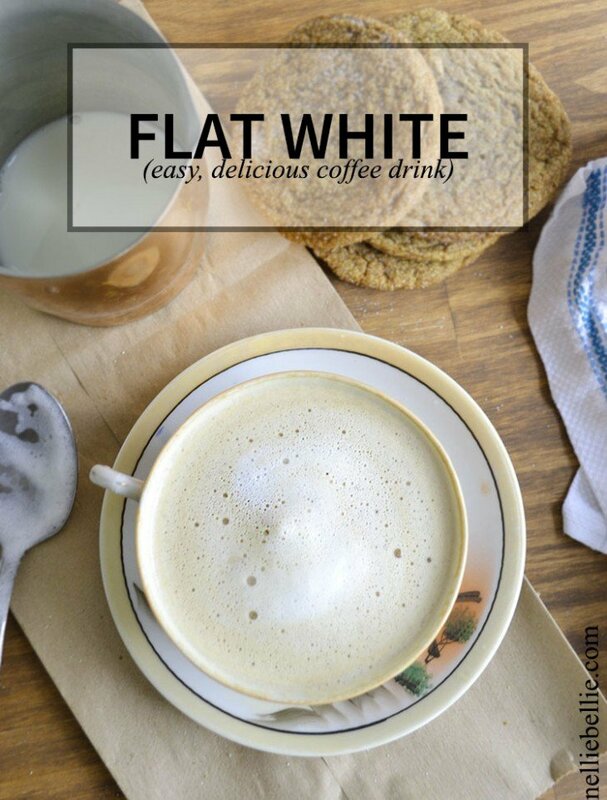 A flat white is basically a latte, but with a slightly different milk to coffee ratio and smoother foam. This drink can be made with a variety of flavors. Froth 1 cup of milk, either using an espresso machine or on the stove using a milk frother. You want to heat the milk to about 160 F.
You want a froth with very fine bubbles. While you are frothing the milk, make your espresso. Combine the espresso and foam. 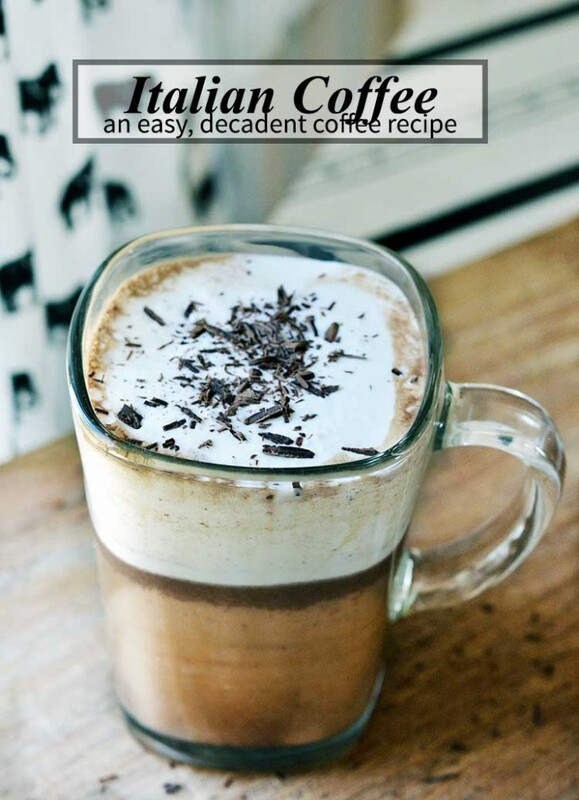 For more info on making this drink, head over to the full Australian Coffee post. 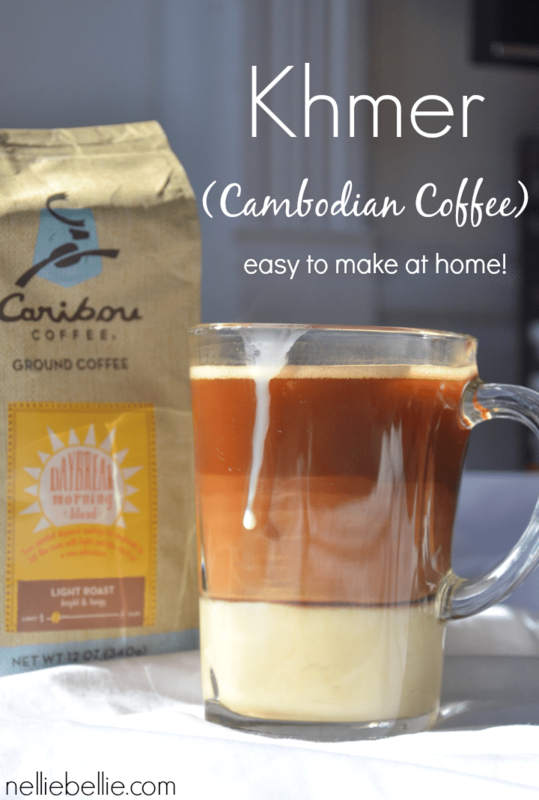 Cambodian coffee is a great started coffee for people who are just getting into making their own fancy drinks at home. It uses only two ingredients and no fancy tools, so anyone can really make it. It is also a sweeter coffee drink, so it is perfect for those who don’t really want anything too strong. 8 oz brewed coffee we are fans of our french press and Chemex! In fact, we don't own an auto coffee maker! Open can of sweetened condensed milk and place the open can in a pot with water (it should come about 1/3 to 1/2 way up the can). Bring water to a boil. Pour coffee into a mug, and then pour the sweetened condensed milk on top. Be sure to admire the layers at this stage! Stir before you drink. Enjoy! For more information, head over to the full tutorial. While we’ve heard mixed reviews as to whether this coffee is truly “Canadian”, it is delicious. 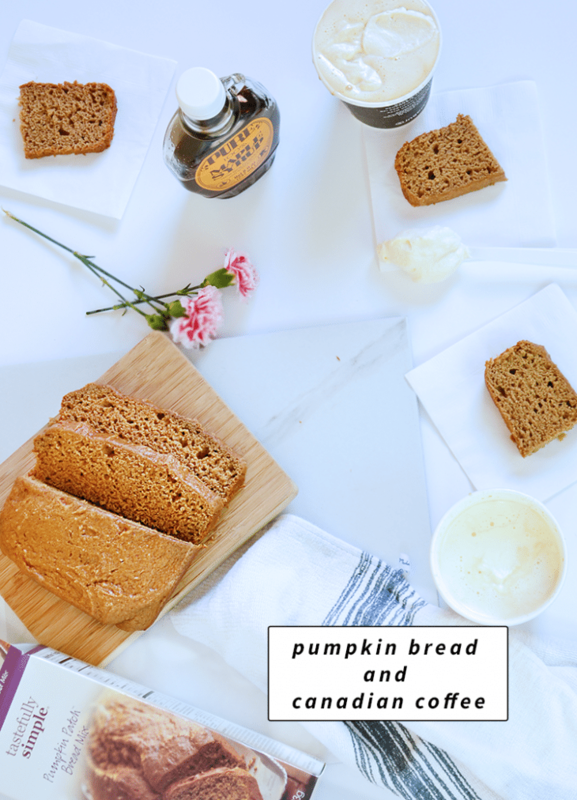 We love that it is so simple, the simplest we have, and cuts out all refined sugar. Maple syrup takes the place of sugar in this recipe, and it tastes so good! Whip cream on high until soft peaks begin to form. Add 2-3 tablespoons of the maple syrup and continue whipping until peaks form. Divide remaining maple syrup evenly among the cups (about 2-3 tablespoons per cup). Spoon whipped cream on top. You don't need to make your own whipped cream, we just think it adds a little something special. You would be perfectly fine buying a can of whipped cream and spraying it on top! For more info, head over to the full Canadian Coffee post. Brew 8 oz of coffee and chill it in the freezer for 15 minutes. You could also leave it in the fridge for a couple hours. Put 2 scoops of vanilla ice cream in a mug. Pour chilled coffee on top of the ice cream. For more info, head over to the full post. This Italian coffee is the richest, most decadent coffee drink of them all! Seriously delicious, creamy, and rich. 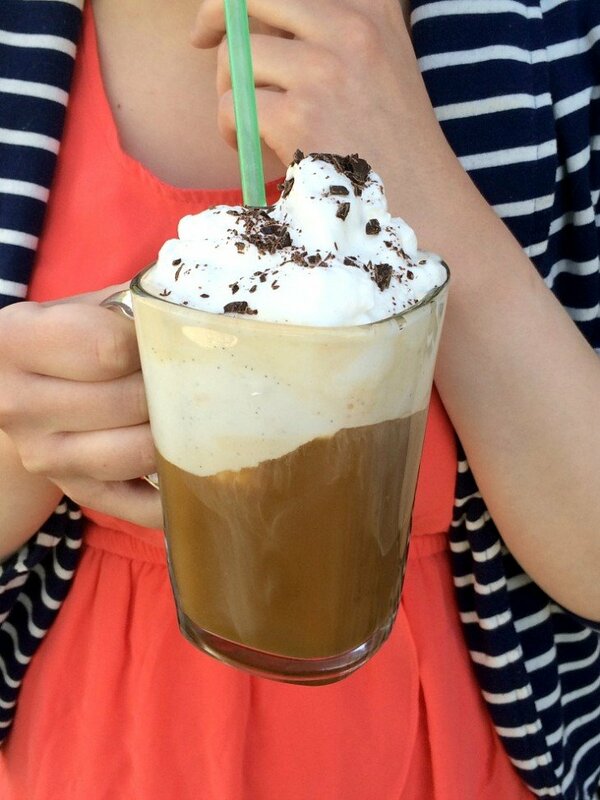 It has a ton of partially whipped cream, and is a mix of coffee and hot cocoa. Yep, it is as tasty as it sounds! Put a mason jar in the freezer (this is for making the cream topping. If you'd rather use whipped cream, skip this step). Make a pot of strong coffee. While the coffee is brewing, make yourself a batch of hot chocolate. We recommend something homemade and creamy, but any hot chocolate will work. Pour your hot chocolate into the bottom 1/3rd of your mug. Pour your coffee over the back of a spoon into the mug, filling to 2/3rds full. Put your heavy cream into the chilled mason jar and close. Shake until the cream thickens slightly. Pour cream over the back of a spoon, filling the mug completely. To make this drink easier, you can skip the layering and just pour things in, instead of pouring over the back of a spoon. Using whipped cream instead of whipping your own "partial" whipped cream would also save time. For more information, and a video of the whipped cream making process, head over to the full Italian Coffee post. 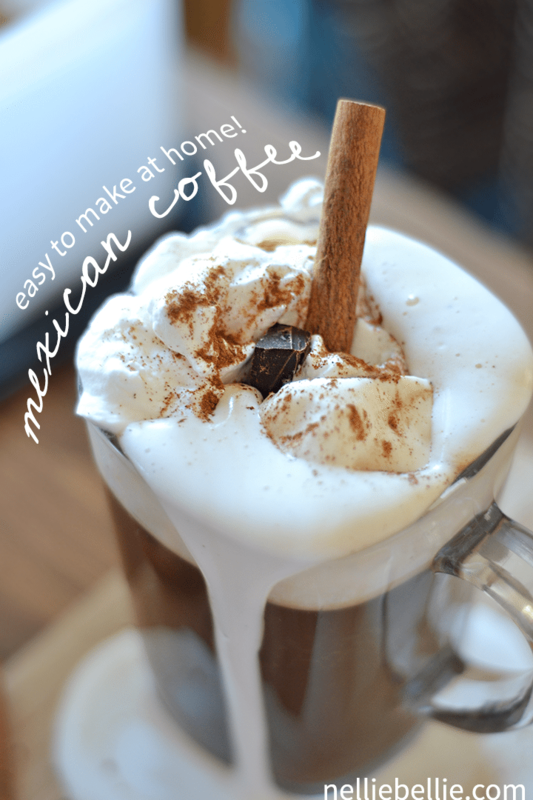 Mexican coffee is another fairly simple coffee drink that just LOOKS really fancy. It tastes delicious, too! There’s nothing complicated about this drink at all, however, and it is a perfect drink for those who want a little bit of spice in their coffee. Put a generous amount of whipped cream on top. Sprinkle with cinnamon. 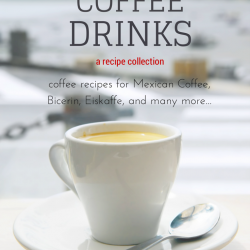 For more info, head over to the full Mexican Coffee post. If you still haven’t decided on your perfect coffee brewing method, we’ve got a helpful post to help you decide which way you will prefer to brew your coffee. And if you’re looking for an awesome dessert to with these, might we recommend a classic cake? Just so you know, Truvia baking blend is not sugar free. It is a blend of sugar and the usual Truvia ingredients so it does have sugar! Really? That is really good to know! Thanks! Thanks for these recipes. Coffee machine Mac will be busy. It’ll be coffee around the world week for us!